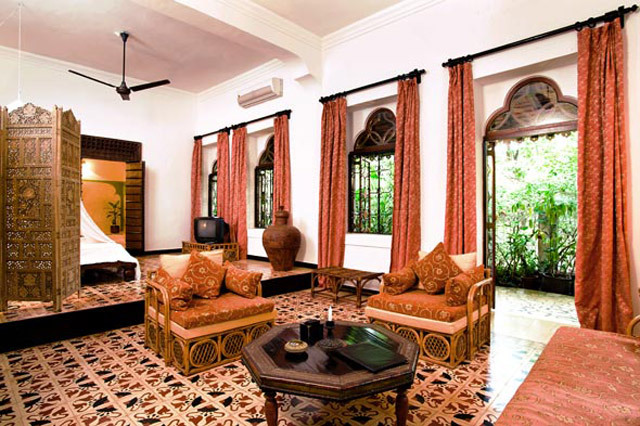 If its space you look for when you are away than look no further because the Rajasthani Suite has ample. 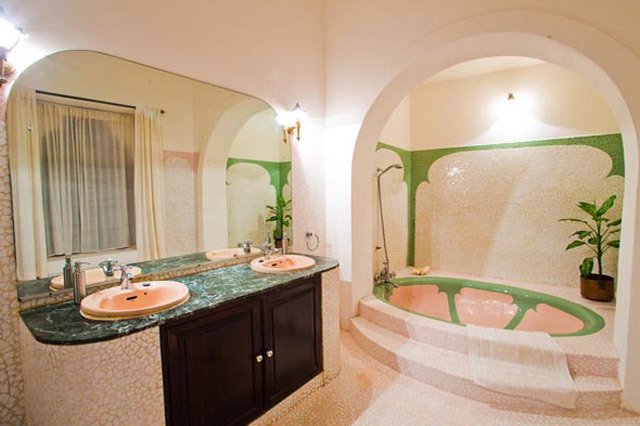 A spacious split level room with a definite Indian flair, attached is a royal bathroom with a large size sunken bath, ideal to relax after a hard day on the beach. 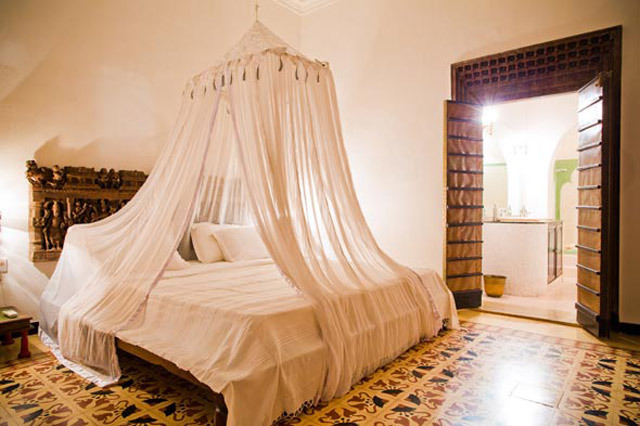 The bedroom has air conditioning, cable TV and is separated from the living area by a platform and panelled screens. 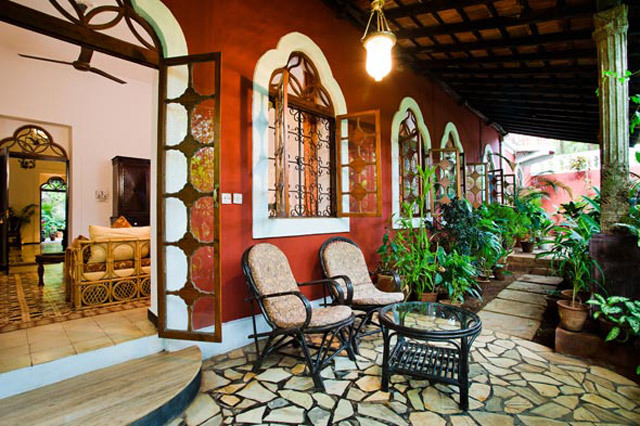 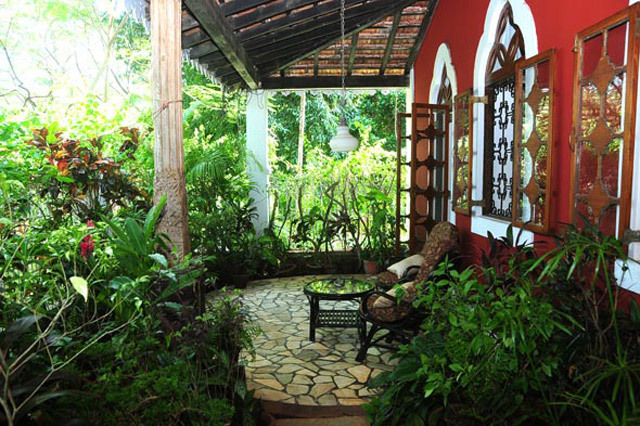 The suite is very cool due to the high ceiling and the tiled flooring made from Portuguese stencils, with a private terrace provides for a shady place for rest.